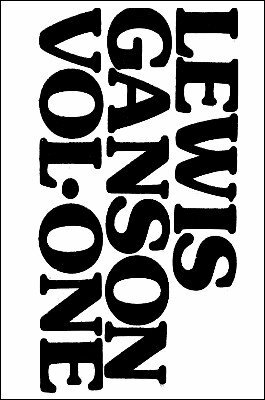 "In all the world of magic, I don't think you could find a fairer, squarer person than Lewis" - Dai Vernon, Genii December 1974. "As I look at the literary scene of magic today, the name of one man stands out above all the rest and the owner of that name is my old friend Lew Ganson." - Peter Warlock, Genii , December 1974. I made this recording because I wanted to meet magic's most respected writer. From an early age I followed Lewis Ganson's highly practical series in the Gen magazine and one by one I purchased every book that Lewis wrote including the Routined Manipulation series and the Dai Vernon and Slydini books. What a day I had. We watched films, showed each other magic and listened to recordings. On tape I believe I have captured some of those magical moments that have gone to make up this unique character now sadly lost to the magical scene. This early meeting developed into a lasting friendship and this recording is surely a tribute to one of the most talented and kindest magical personalities to have lived in my time.